Ed. Note: This special feature is reprinted in partnership with Stratfor, an influential private intelligence company. 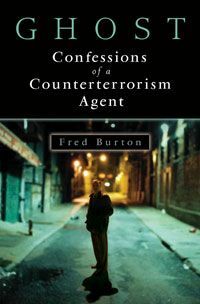 Co-author Fred Burton, the former deputy chief of the State Department's counterterrorism division, presently serves as vice president for counterterrorism and corporate security at Stratfor, and recently released his autobiography: GHOST, Confessions of a Counterterrorism Agent. For a special offer to get a copy of GHOST, and to read additional information about Fred Burton and his role at Stratfor, simply click here. For a special offer to get a copy of GHOST, and to read additional information about Fred Burton and his role at Stratfor, please click the image of the book's cover above. On the surface, last week’s attack on Mumbai was remarkable for its execution and apparently unconventional tactics. But when compared to a plot uncovered 15 years ago that targeted prominent hotels in Manhattan, it becomes apparent that the Mumbai attack was not so original after all. In July 1993, U.S. counterterrorism agents arrested eight individuals later convicted of plotting an elaborate, multistage attack on key sites in Manhattan. The militants, who were linked to Osama bin Laden’s then-relatively new group, al Qaeda, planned to storm the island armed with automatic rifles, grenades and improvised explosive devices (IEDs). In multiple raids on key targets combined with diversionary attacks, they aimed to kill as many people as possible. The planned attack, which came to be known as the “Landmarks” plot, called for several tactical teams to raid sites such as the Waldorf-Astoria, St. Regis and U.N. Plaza hotels, the Lincoln and Holland tunnels, and a midtown Manhattan waterfront heliport servicing business executives and VIPs traveling from lower Manhattan to various New York-area airports. The militants carried out extensive surveillance both inside and outside the target hotels using human probes, hand-drawn maps and video surveillance. Detailed notes were taken on the layout and design of the buildings, with stairwells, ballrooms, security cameras and personnel all reconnoitered. The attackers intended to infiltrate the hotels and disguise themselves as kitchen employees. On the day of the attack, one attack team planned to use stolen delivery vans to get close to the hotels, at which point heavily armed, small-cell commando teams would deploy from the rear of the van. Stationary operatives would use hand grenades to create diversions while attack teams would rake hotel guests with automatic weapons. The attackers planned to carry gas masks and use tear gas in hotel ballrooms to gain an advantage over any security they might come up against. They planned to attack at night, when the level of protection would be lower. The targeted hotels host some of the most prestigious guests in Manhattan. These could have included diplomats like the U.S. ambassador to the United Nations, who traditionally keeps an apartment in the Waldorf-Astoria, or even the U.S. secretary of state, who is known to stay at the Waldorf during U.N. sessions. They also host various business leaders. If successful, the attackers doubtless would have killed many high-profile individuals key to New York’s stature as a center for financial and diplomatic dealings. Meanwhile, the plots to detonate explosives in the Lincoln and Holland tunnels would have blocked critical transportation infrastructure, sowing chaos in the city as key escape routes were closed off. And VIPs seeking to escape the city via the midtown heliport would have been thwarted by the attack planned for that location. In fact, the heliport attack was planned to be carried out using watercraft, which also could have been used to target transport ferries, further disrupting transportation in and out of Manhattan. The New York City Police Department could plausibly even have quarantined Manhattan to prevent the attackers from fleeing the city. With the city shut down and gunmen running amok, the financial center of the United States would have been thrown into chaos and confusion until the attackers were detained or killed. The attacks thus would have undermined the security and effectiveness of New York as a center for financial and diplomatic dealings. At the time, U.S. counterterrorism officials deemed that the attack would have had a 90 percent success rate. Disaster, then, was averted when federal agents captured the plotters planning the Landmarks attack thanks to an informant who had infiltrated the group. Along with the 1993 World Trade Center bombing just four months earlier, which killed six people but was intended to bring down both towers, the United States dodged a major bullet that could have been devastating to New York. A little more than fifteen years later, the Nov. 26 attacks in Mumbai closely followed the script of the New York plot. Militants armed with AK-47s, grenades and military-grade explosives carried out a very logistically sophisticated and coordinated attack on the financial capital of India. Clearly, the Mumbai attack involved extensive preoperational surveillance. Attackers had maps of the targeted hotels, and according to the Indian Marine Commandos who raided the Taj Mahal hotel, the militants moved around as if they knew the hotel’s layout by heart. Advance members of the attack teams had already taken up positions in the hotels, stockpiling firearms, ammunition, grenades and food that were quickly accessed and used to maintain the attackers’ positions in the hotels. One of the attackers reportedly also had taken a job as an intern chef in the Taj Mahal hotel kitchen, so his movements raised less suspicion and he had a detailed knowledge of the entry points and corridors. For such attacks, preparedness is key, and escaping alive is a long shot. The attackers therefore must have been highly motivated and willing to die — a rare combination that requires immense amounts of training and ideological zeal. At least two teams entered the city by watercraft, breaking up into smaller groups as they made their way to the Taj Mahal hotel, Oberoi-Trident hotel complex and Nariman (also known as Chabad) House, a Jewish center in the same area of Mumbai. These tactical teams dispersed across the city, attacking prominent sites where foreign VIPs were sure to be present. They infiltrated the hotels through back entrances and kitchens, thus enhancing the element of surprise as they opened fire on guests in the dining areas and atriums of the hotels. Beyond killing people and holding hostages in Mumbai’s most prestigious hotels, other attack teams assaulted additional strategic sites in Mumbai, creating a sense of chaos and confusion over the whole city. Mumbai’s main train station, Chhatrapati Shivaji Terminus, as well as Cama Hospital, offices of The Times of India newspaper, restaurants, a theater, and bars frequented by foreigners also were attacked. The attackers’ excellent coordination — the multiple attacks took place nearly simultaneously — thus ensured maximum confusion and chaos, frustrating police responses. This could explain in part why operations like those at Nariman House and the hotels lasted for more than 48 hours. The similarities between the Landmarks plot and the Nov. 26 Mumbai attack are quite obvious. In symbolic terms, as the Mumbai attack unfolded, many onlookers said that an attack on Mumbai is to India what an attack on New York is to Americans. In more concrete terms, the targets, methods, weapons and geography involved were similar (if not identical), and the unconventional style of the attacks points to a common author. U.S. counterterrorism forces in 1995 detained Landmarks plot mastermind Ramzi Yousef, who remains in U.S. federal prison. But his ideas obviously did not stay behind bars. This illustrates how a plan’s initial failure does not mean the threat has been eliminated. Indeed, Stratfor observed in 2005 that the 1993 Landmarks plot (among others) should not be discounted, as al Qaeda or other terrorist groups are known to return to past targets and plot scenarios. The similarities between the Landmarks plot and the Mumbai attack exist at several levels. The first relates to the target set. Both New York and Mumbai are the respective financial centers of their countries and home to their nations’ major stock exchanges. In both cities, the planners had picked out high-profile soft targets — sites that have less security personnel and countermeasures than, say, a military installation or key government building. Softer security means gaining access to strategic assets and people is easier. Stratfor has long stressed the importance of maintaining vigilance at soft targets like hotels that cater to international guests, as these are likely targets for militant Islamists. Both plans also involved infiltrating hotel staff and booking rooms in the hotels to gain inside information and store supplies. The second similarity involves how both plans included peripheral targets to cause confusion and chaos and thus create a diversion from the main targets. In Mumbai, transportation infrastructure like the city’s main railway station was attacked, and militants detonated explosive devices in taxis and next to gasoline pumps. Meanwhile, roving gunmen attacked other sites around the city. In a country where coordination among first responders is already weak, the way the attackers fanned out across the city caused massive chaos and distracted security forces from the main prize: the hotels. Attacking Cama Hospital also sowed chaos, as the injured from one scene of attack became the targets of another while being rescued. A third similarity exists in the geography of the two cities. In both plots, the use of watercraft is a distinctive tactical similarity. Watercraft gave militants access at unconventional locations where security would be more lax. Both Mumbai (a peninsula) and Manhattan (an island) offer plenty of points where militants can mount assaults from watercraft. Such an attack would not have worked in New Delhi or Bangalore; these are landlocked cities where militants would have had to enter by road, a route much more likely to encounter police patrols. Being centers of trade and surrounded by water, both Mumbai and New York have high levels of maritime traffic. This means infiltrating the area from the water would raise minimal suspicions, especially if the craft were registered locally (as was the case in the Mumbai attack). Such out-of-the box tactics take advantage of security services, which often tend to focus on established threats. A fourth similarity lies in transportation. In addition to using watercraft, both plots involved the use of deceptive vehicles to maneuver around the city undetected. The Landmark plotters used taxis to conduct surveillance and planned on using a delivery van to approach the hotels. In Mumbai, the attackers planted bombs in taxis, and at least one group of militants hijacked a police van and used it to carry out attacks across the city. Using familiar vehicles like taxis, delivery vans or police vans to carry out surveillance or attacks reduces suspicion and increases the element of surprise, allowing militants to stay under cover until the moment of attack. As indicated, the striking similarities between the Landmarks plot and the Mumbai attack suggest that Ramzi Yousef and other early al Qaeda operatives who helped prepare the Landmarks plot in New York authored the Mumbai plan. Considering that the militants launched their original attack from Karachi, Pakistan, and the previous involvement of Pakistan’s Inter-Services Intelligence (ISI) agency — which has connections with al Qaeda leaders in western Pakistan — it is very likely that al Qaeda in Pakistan at least provided the blueprints for this attack. On-the-ground operations like training, surveillance and the actual attack appear to have been carried out by the Pakistani militant group Lashkar-e-Taiba in connection with Indian Islamist groups. Here we see more evidence of the existence of an ideological or strategic battle space that exists in the radical Islamist world, which has been greatly influenced by al Qaeda. Like a contingency plan that might sit on the shelf for years or decades before it is useful, terrorist plots (especially good ones) can have a long shelf life and be applied in various scenarios. In fact, plans that sit on the shelf longer might actually be more effective as security officials focus their attention on evolving threats and forget old ones. Just because a plot has been disrupted, the threat has not been eliminated. Once terrorists happen upon a successful model, they are likely to follow that model. This can be seen in al Qaeda’s return to the World Trade Center in 2001, eight years after the initial truck bomb attacks in 1993. It can also be seen in the fact that Mumbai has been the target of multiple attacks and threats, including train bombings in 2006 that killed approximately 200 people. Though the tactics might have differed, the target set remained the same. Various parts of the attack cycle can change, but rarely does an attack occur that is completely novel. Ultimately, the biggest difference between the Landmarks plot and the Mumbai attack is that the Mumbai attack succeeded. The failure of the Landmarks plot probably provided key lessons to the planners of the Mumbai attack, who were able to carry out the stages of the attack without detection and with the full element of surprise. Gauging by the success of the Mumbai incident, we can expect similar strategies and tactics in future attacks. Fred Burton is one of the world’s foremost authorities on security, terrorists and terrorist organizations. In his capacity as Vice President for Counterterrorism and Corporate Security, Mr. Burton oversees Stratfor’s terrorism intelligence service and consults with clients on security-related issues affecting their organizations or personal safety. He leads a team of terrorism experts and a global network of human intelligence sources to analyze and forecast the most significant events and trends related to terrorism and counterterrorism.